Veronica Bandy '00, '08, Associate Clinical Professor of Pharmacy Practice, was selected as the California Pharmacists Association (CPhA) President-Elect. Larry Boles, Professor of Speech-Language Pathology and Audiology, received the California Speech-Language-Hearing Association District 3 Award of Achievement for scholarly activity and teaching at the 2017 CSHA Convention held March 16-19 in Pasadena, California. Clark H. Gustafson '66, Regent, has been named the recipient of the American Pharmacists Association (APhA) Hugo H. Schaefer Award, which recognizes outstanding voluntary contributions to the organization, the profession and society. Honorees were officially recognized at the APhA Annual Meeting and Exposition in San Francisco, March 24-27, 2017. Jeannene Ward-Lonergan, Professor and Vice Chair of Speech-Language Pathology and Audiology, received the California Speech-Language-Hearing Association, District 3 Award for Outstanding Service to the Profession at the 2017 CSHA Convention. Peggy Kay, Assistant Vice President for Technology Customer Experience, was selected to participate in the Leading Change Institute in Washington, D.C., June 11-16. 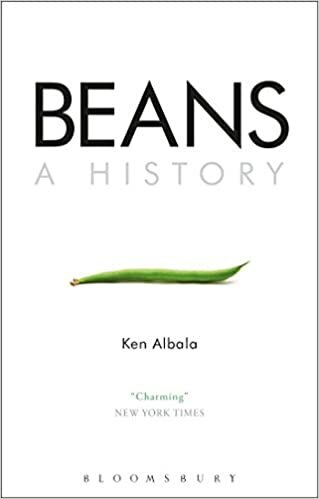 Ken Albala, Professor of History, had a 10th anniversary edition of his book, Beans: A History, published by Bloomsbury. The book won the 2008 International Association of Culinary Professionals Jane Grigson Award for Food Writing. Alison Alkon, Associate Professor of Sociology and Food Studies, presented an overview of her research on the ways that race structures and limits access to healthy food as a part of the UC Davis Alternatives in Agriculture lecture series. Andreea Boboc, Associate Professor of English, had her article, "Work and the Legal Person in Thomas More's Utopia," published in the Pacific Law Review (Vol. 48). MartÍn Camps, Professor of Modern Languages and Literature, was an invited writer to the Literary Festival "Literatura del Bravo" from March 9-11, organized by the Cultural Center of Ciudad Juárez. During his stay, he was interviewed for the border newspaper Norte Digital in Ciudad Juárez regarding America's proposed construction of a border wall. Željko Cipriš, Professor of Modern Language and Literature, had a new book, Harbors Rich in Ships: The Selected Revolutionary Writings of Miroslav Krleža, Radical Luminary of Modern World, which is his translation of a collection of seven representative early texts by Croatian/Yugoslav writer Miroslav Krleža together with an introduction, published by Monthly Review Press, March 2017. Qingwen Dong, Professor and Chair of Communication, organized a panel of Chinese visiting scholars on "A Comparative Analysis of Chinese and American Media Arts: An Intercultural Perspective" at the Western States Communication Association Annual Convention in Salt Lake City, Utah, February 17-21. Panelists included professors Jinyao Zhang, Zhuo Chen, Hui Zhao and Zhi Li of the Communication University of China and Professor Jie Gong of Gui Zhou University. Dennis O. Flynn, Emeritus Professor of Economics, presented "A Price Theory of Monies, from Global History," at the workshop, "What is money? What is currency?," at the Financial University of the Russian Federation in Moscow, held Nov. 14. Flynn also presented "Global History Defined" at an American Historical Association session organized by AHA President Patrick Manning on Jan. 7 in Denver, Colorado. Marcos Gridi-Papp, Associate Professor of Biological Sciences, co-authored the paper "A laryngeal fibrous mass impacts the acoustics and attractiveness of a multicomponent call in túngara frogs (Physalaemus pustulosus)" which was accepted for publication in the journal Bioacoustics. Ryan Hill, Assistant Professor of Biological Sciences, co-authored the paper "Seed germination in Viola pedunculata and Viola purpurea SUBSP. quercetorum (Violaceae), critical food plants for two rare butterflies" in Madroño (64:1), the journal of the California Botanical Society. Carolynn Kohn, Associate Professor of Psychology, co-authored "Systematic Review of the Free-Pour Assessment: Implications for Research, Assessment and Intervention," published in the peer reviewed journal, Experimental and Clinical Psychopharmacology. Graduate student Nicole Schultz '14 was lead author on the article. Kohn also co-authored the article "Evaluation of pour training procedures for college students" in Behavior Analysis: Research and Practice (17:1). Co-authors were Emily Metz '14, Nicole Schultz '14 and Katrina Bettencourt '17. Jane Khudyakov, Assistant Professor of Biological Sciences, was lead author on the article, "Blubber transcriptome response to acute stress axis activation involves transient changes in adipogenesis and lipolysis in a fasting-adapted marine mammal," published in the journal Nature. This research describes the identification of molecular markers of stress in blubber tissue of marine mammals, specifically elephant seals. These markers were identified using high-throughput RNA sequencing and include genes that regulate lipid metabolism, which is a key feature of fasting metabolism in elephant seals. Brian Klunk, Associate Professor of Political Science, co-presented the workshop, "Games Without Frontiers: Reacting to the Past in Political Science Courses," at the 2017 American Political Science Association's Teaching and Learning Conference. He also served as a discussant for the Games and Simulations track of that conference. Klunk presented the paper, "What Catholics Can Still Contribute to Just War Theory," on Feb. 23 at the 58th annual convention of the International Studies Association, Understanding Change in World Politics, held in Baltimore, Maryland. Courtney Lehmann, Professor of English, will deliver a keynote address, "'Cyborgs, Simians, and Women' Revisited: The Age of Biocybernetic Reproduction in Julie Taymor's Tempest," at the Shakespeare, Technology, Media, Performance conference at the University of Exeter on June 24. The conference will examine the recent significant changes in how Shakespeare's plays are performed and disseminated through old and new technologies and media. Lehmann is one of three women in the field internationally whose work has shaped the conference and its topics. Ethel Nicdao, Associate Professor and Chair of Sociology, was an invited Visiting Professor at the University of Hawaii-Manoa Feb. 7-10. Her visit focused on community-based participatory research (CBPR). Together with faculty and graduate students from Public Health Studies, she attended the BUILD EXITO training; guest lectured on CBPR in the graduate class, Health Behavior Change; delivered a research colloquium at UH Office of Public Health Studies; conducted mentor meetings with graduate students and faculty; toured Waimanalo where her community-academic partners are conducting community research; and attended a community gathering on Native Hawaiian governance. Matt Normand, Associate Professor of Psychology, presented the keynote address, "Get moving: A programmatic line of behavioral research on physical activity with young children," at the 11th Annual Heartland Association for Behavior Analysis conference, in Omaha, Nebraska. Normand presented the invited tutorial, "Psychology in crisis: Why size actually does matter," at the 35th Annual Meeting of the California Association for Behavior Analysis, in Anaheim, California. Jianhua Ren, Professor of Chemistry, presented a poster on the "Gas Phase Basicity and Structural Properties of Oligopeptides Containing Lysine Homologues" at the 2017 Gordon Research Conference on Gaseous Ions: Structures, Energetics & Reactions, held Feb. 12-17 in Ventura, California. Caroline Schroeder, Professor of Religious Studies, delivered the annual Weltin Lecture in early Christian studies at Washington University in Saint Louis. The title of the talk was "The Digital Future of Early Christian Studies: Utopian, Apocalyptic, and Apocryphal." Corey Stocco, Assistant Professor of Psychology, co-authored a poster "Using Rules to Improve the Honest Reports of Children in Environments with Conflicting Reinforcement Contingencies" at the Annual Meetings of the California Association for Behavior Analysis and the Heartland Association for Behavior Analysis. Balint Sztaray, Professor of Chemistry, presented an invited lecture, "Photoelectron Photoion Coincidence Spectroscopy for High-Accuracy Thermochemistry... and More!," at the 2017 Gordon Research Conference on Gaseous Ions: Structures, Energetics & Reactions, held Feb. 12-17 in Ventura, California. Tara Thiemann, Assistant Professor of Biological Sciences, was the faculty advisor for the research poster, "Detection and characterization of insecticide resistance mechanisms in Culex tarsalis," by lead author Eva Choi '16, which was presented at the American Mosquito Control Association (AMCA) Annual Meeting. Her presentation, based on data from her master's thesis, won first place in the Student Poster Competition. Culex tarsalis is one of the primary mosquito vectors of West Nile virus in California. Feilin Hsiao, Associate Professor of Music Therapy, co-authored the chapter "Eastern and Southeastern Asian Culture" in the new book Cultural Intersections in Music Therapy: Music, Health, and the Person (Barcelona Publishers). She also co-presented the research paper "Culture clash! International students' needs in the music therapy classroom and clinic" at the Seventeenth Annual Conference of the American Music Therapy Association in Sandusky, Ohio. Eric Waldon '00, '07, Assistant Professor of Music Therapy, has published a follow-up study to his survey of research attitudes among music therapists (published in 2015). This recent study, "Perceived research relevance: A worldwide survey of music therapists," appears in the Nordic Journal of Music Therapy. Using an international sample of over 1,200 respondents, it focuses on music therapists' beliefs about the importance of research evidence. Meixun Sinky Zheng, Instructional Designer and Assistant Professor, and Daniel Bender, Assistant Dean for Academic Affairs and Assistant Professor, delivered a poster presentation at the 2017 Educause ELI Annual Meeting on using digital badges as an innovative way to certify and demonstrate dental faculty's participation and engagement in professional development activities. Nejat Düzgünes, Professor of Biomedical Sciences, co-authored the article, "Sulfanyl porphyrazines: Molecular barrel-like self-assembly in crystals, optical properties and in vitro photodynamic activity towards cancer cells," published in Dyes and Pigments (Vol. 136). Gwen Essex, Instructor in Dental Practice, co-authored the paper, Factors Influencing California Dental Hygienists' Involvement in School-Based Oral Health Programs, published in the Journal of Dental Hygiene (90:4). Essex also co-authored the article, "Perceptions and Attitudes of Dental Hygiene Educators About the Establishment of Doctoral Education Programs in Dental Hygiene" in the Journal of Dental Hygiene (Vol. 90). David M. Ojcius, Professor of Biomedical Sciences, co-authored the paper, "Fusobacterium nucleatum infection of gingival epithelial cells leads to NLRP3 inflammasome-dependent secretion of IL-1β and the danger signals ASC and HMGB1," in Cell Microbiology (18:7). Raquel Aldana, Professor of Law, served on the panel "Latinas in the Legal Profession" at the Celebration of Latino Alumni 2017 at Harvard Law School, March 2-5. Aldana served as a commentator to two papers at UC Davis's conference on Crisis Migration on March 15. Lindsey Blanchard, Associate Professor of Lawyering Skills, gave the presentation "Grammar Flip," related to a teaching idea involving a flipped classroom, at the 2017 Rocky Mountain Legal Writing Conference held at Arizona State University's Sandra Day O'Connor College of Law in Phoenix, Arizona, March 10-11. Franklin Gevurtz, Distinguished Professor of Law, had his article, "Building a Wall against Private Actions for Overseas Injuries: The Impact of RJR Nabisco v. European Community," published in the U.C. Davis Journal of International of Law & Policy. Leslie Gielow Jacobs, Professor of Law, had her law review article, "Making Sense of Secondary Effects After Reed v. Town of Gilbert," accepted for publication in the Santa Clara Law Review. Her article, "Government Identity Speech Programs: Understanding and Applying the New Walker Test," was published in the Pepperdine Law Review (Vol. 44). Michael Malloy, Distinguished Professor of Law, presented "Contracts in a Digital Age: My Teenaged Tech Advisors Rescue Dad," at the 12th annual International Conference on Contracts (KCON XII), hosted by Southwestern Law School in Los Angeles, California, Feb. 24-26. Malloy also served as a moderator on another panel during the conference. His article, "Encountering Utopia" has been publishing as the lead article in the anthology, Role of Law, Human Rights and Social Justice: Selected Issues, published by the Athens Institute for Education and Research. Malloy's treatise, Banking Law and Regulation § 11.3.4.2, was cited and quoted in "A brief for the Appellant in Robinson v. Federal Housing Finance Agency," 2017 WL 564669 (6th Cir. Feb. 10, 2017). His treatise, Banking Law and Regulation, also has been cited in Margaret Ryznar, Frank Sensenbrenner and Michael Jacobs Jr., Implementing Dodd-Frank Act Stress Testing, in the DePaul Business and Commercial Law Journal 323, 327 nn.13, 23 (2016). Stephen McCaffrey, Distinguished Professor of Law, co-edited the book, Promoting Equity, Cooperation and Innovation in the Fields of Transboundary Waters and Natural Resources Management: The Legacy of Dr. David J.H. Phillips, published by Brill Nijhoff, March 2017. McCaffrey contributed the chapter, "The Evolution of International Law relating to Transboundary Waters," in Routledge Handbook of Water Law and Policy, Rieu-Clarke, et al., eds. (Routledge, London & New York, 2017). Ed Telfeyan, Professor of Lawyering Skills, will be presenting on "Bringing Moot Court into the Classroom: the McGeorge Approach" at the Second Biennial Moot Court Conference held in Chicago on April 29. The conference brings together directors of moot court programs from law schools around the country. Michael Vitiello, Distinguished Professor of Law, will serve as a discussant on the Workshop on Criminal Justice discussion group on "Criminal Justice and Technology: Changes in Law, Practice, and Culture" and on the discussion group on "Growing Cannabis Law: When Grass Becomes Cash," at the Southeastern Association of Law Schools (SEALS) annual conference, July 31-Aug. 6 in Boca Raton, Florida. Vitiello will present a paper on legalizing marijuana in the U.S. at the Conference of Criminal Law Professors in Lake Garda, Italy, in May, and will be teaching a course on American Criminal Law: Recent Developments University of Parma, Italy. Vitiello co-authored the article, "Legalizing Marijuana: A Few from the Weeds," which was accepted for publication in The Hastings Law Journal (Vol. 69). Wenjing Ouyang, Assistant Professor of Finance, and Peter Hilsenrath, Joseph M. Long Chair of Healthcare Management and Professor of Economics, published "Merger & Acquisition and Capital Expenditure in Health Care" in Inquiry: The Journal of Health Care Organization, Provision and Financing. Larry Boles, Professor of Speech-Language Pathology and Audiology, co-presented "CSDCAS best practices" at the annual convention of the California Speech-Language-Hearing Association, Pasadena, California. Todd Davenport, Associate Professor of Physical Therapy, co-authored the article, "The effect of velocity of joint mobilization on corticospinal excitability in individuals with a history of ankle sprain," published in the July 2016 edition of the Journal of Orthopaedic and Sports Physical Therapy. He also published the monograph, "Outcomes in Orthopaedic Physical Therapy Practice: Patient Self-Report Measures for Individuals with Spine Conditions" through the Orthopaedic Section of the American Physical Therapy Association. Davenport co-authored the article, "Timing of physical therapy initiation for nonsurgical management of musculoskeletal disorders and effects on patient outcomes: a systematic review," published in the January 2016 edition of the Journal of Orthopaedic and Sports Physical Therapy. Todd Davenport, Associate Professor of Physical Therapy, Mark Van Ness, Associate Professor of Health, Exercise, and Sport Sciences, Chris Snell, Emeritus Professor of Health, Exercise and Sport Sciences, Staci Stevens '91, '97 and Haylee Bettencourt '14, '16, were co-authors on the conference abstract, "Chronotropic incompetence in chronic fatigue syndrome/myalgic encephalomyelitis," which appeared in the January 2016 edition of the Cardiopulmonary Physical Therapy Journal. Todd Davenport, Associate Professor of Physical Therapy, and Jim Mansoor, Professor of Physical Therapy were co-authors on the article, "Exercise for post-traumatic stress disorder: systematic review and critical synthesis of the literature," which was published in the January 2017 edition of Orthopaedic Physical Therapy Practice. Jessica Garcia '13 was lead author. Adam M. Kaye '95, Clinical Professor of Pharmacy, co-authored the articles "Prescription Opioid Abuse in Chronic Pain: An Updated Review of Opioid Abuse Predictors and Strategies to Curb Opioid Abuse: Part 1," "Prescription Opioid Abuse in Chronic Pain: An Updated Review of Opioid Abuse Predictors and Strategies to Curb Opioid Abuse: Part 2," and "Responsible, Safe, and Effective Prescription of Opioids for Chronic Non-Cancer Pain: American Society of Interventional Pain Physicians (ASIPP) Guidelines," published in Pain Physician. Yvonne Mai '13, Assistant Professor of Pharmacy Practice; Tasha Farnaam '18; Sian Carr-Lopez '85, Allen Shek, Professor of Pharmacy Practice and Associate Dean of Professional Programs, and Cynthia S. Valle-Oseguera '12, Assistant Professor of Pharmacy Practice, presented on the "Role of Pharmacy Students in an Opioid Safety Population Health Initiative" at American Society of Health-System Pharmacists Midyear Clinical Meeting in December in Las Vegas, Nevada. Rebecca Van Klaveren '17 published the conference abstract "Gender distribution of authors in the Journal of Orthopaedic and Sports Physical Therapy, 2010-2014" in the January 2017 edition of the Journal of Orthopaedic and Sports Physical Therapy. Carl L Fairburn III '10, Assistant Professor Physical Therapy, and Todd Davenport, Associate Professor of Physical Therapy, were co-authors. Chris Wolfinger '16 published the article, "Physical therapy management of ice hockey players: from the clinic to the rink and back" in the November 2016 edition of the International Journal of Sports Physical Therapy. Todd Davenport, Associate Professor of Physical Therapy, was a co-author. Jeannene Ward-Lonergan, Professor and Vice Chair of Speech-Language Pathology and Audiology, co-presented "How to Screen, Identify, and Plan Interventions for Students with SLI, Dyslexia, and Related Disorders" at the California Speech-Language-Hearing Association Convention, in Pasadena, California, in March. Faculty, and students presented research at the 2017 Combined Sections Meeting of the American Physical Therapy Association in San Antonio, Texas, Feb. 15-18. Todd Davenport, Associate Professor of Physical Therapy, co-presented the session, "Evolution or Revolution? Physical Therapists in Prevention and Population Health," which described a rationale and strategies for practicing physical therapists to implement population health strategies. Carl L. Fairburn III '10, Assistant Professor Physical Therapy; Cathy Peterson, Professor of Physical Therapy; Anna Barrett '16 and Patrick Cawneen '16, presented and educational platform presentation, "DIY mid-fidelity simulation: It takes less space, less money and more time that you think!." Rebecca Van Klaveren '17 presented the podium talk, "Gender Distribution of Authors in the Journal of Orthopaedic and Sports Physical Therapy, 2010-2014," co-authored by Carl Fairburn '10, Assistant Professor of Physical Therapy; and Todd Davenport, Associate Professor of Physical Therapy. Justin Scola '17, Panthjit Khosa '17 and Todd Davenport, Associate Professor of Physical Therapy, presented the poster, "Initial impact of physical therapy hashtags on Twitter: a feasibility study and descriptive analysis." Faculty and students presented research at the 2016 Annual Conference of the California Physical Therapy Association in Santa Clara, California, Oct. 8-9. Ellison McMillan '17, Tony Laurel '17, Jordan Solander-Dangerfield '17 and Megan Stiller '17 presented "Mechanical effectiveness of structures to maintain medial longitudinal arch height: demonstration in a human cadaver model." Advisors are Tamara Phelan, Professor of Physical Therapy, James Mansoor, Professor of Physical Therapy, Todd Davenport, Associate Professor of Physical Therapy. Traci Leahy '17, Wayne Reagan '17, Sonia Singh '17, and Andy Westhafer '17 presented "Effect of frontal plane angle of inclination of the femur on lengths and moment arms of selected hip musculature in a human cadaver model." Advisors are Tamara Phelan, Professor of Physical Therapy, James Mansoor, Professor of Physical Therapy, Todd Davenport, Associate Professor of Physical Therapy. Justin Scola '17 and Panthjit Khosa '17 presented the poster, "Social media utilization and a physical therapy professional conference: temporal behavior of the Twitter hashtag #APTACSM." Todd Davenport, Associate Professor of Physical Therapy, was a co-author on the project. Megan Jackson '14 and Todd Davenport, Assistant Professor of Physical Therapy, were co-authors on the podium presentation, "Trigger point dry needling for musculoskeletal pain and disability: a systematic review of comparative effectiveness research," which also was published in the September 2016 edition of Orthopaedic Physical Therapy Practice. Todd Davenport, Assistant Professor of Physical Therapy, Chris Snell, Emeritus Professor of Health Exercise and Sport Sciences, Mark Van Ness, Professor of Health, Exercise, and Sport Sciences, and Staci Stevens '91, '97 were co-authors on the podium talk, "Chronotropic incompetence in chronic fatigue syndrome/myalgic encephalomyelitis." Todd Davenport, Associate Professor of Physical Therapy, Chris Snell, Emeritus Professor of Health Exercise and Sport Sciences, Mark Van Ness, Professor of Health, Exercise, and Sport Sciences, and Staci Stevens '91, '97 co-presented "Systemic Exertion Intolerance Disease, Myalgic Encephalomyelitis, or Chronic Fatigue Syndrome? What's In the Name and Why It Matters for PTs." Justin Scola '17 and coauthors Panthjit Khosa '17 and Todd Davenport, Associate Professor of Physical Therapy, presented the poster entitled "Initial Impact of Physical Therapy Hashtags on Twitter: A Feasibility Study and Descriptive Analysis." Dinah Compton '15 presented "Hand hygiene compliance among visitors to acute health care settings: a systematic review." Todd Davenport, Associate Professor of Physical Therapy, was a co-author on the project. Todd Davenport, Associate Professor of Physical Therapy, co-authored the poster, "Validity of functional screening tests to predict lost-time lower extremity injury in a small cohort of female collegiate athletes." Ronald E. Hallett, Associate Professor of Educational Administration and Leadership, and Linda Skrla, Professor and Department Chair of Educational Administration and Leadership, co-authored the book, Serving Students who are Homeless: A Resource Guide for Schools, Districts, and Educational Leaders, which was published by Teachers College Press, December 2016. Rick Hutley, Director of Analytics, spoke at Government Transformation & Innovation 2017: A Blueprint for Citizen Centric Government, held Feb. 28, in Sacramento. His session, "Big Data and Analytics," focused on the business impact of Big Data, as well as what business can expect to learn from data. Daniel O'Neill, Associate Professor of Political Science, had his article, "Cambodia in 2016: A Tightening Authoritarian Grip," published by invitation for the second year in a row in the annual review of Asia issue, Asia in 2016: Transitions, in Asian Survey (57:1), published by the University of California Press. Niraj Chaudhary, Director of Library Technology and Digital Initiatives, co-presented a session on "Integrating High Impact Technology on a Budget" and taught a post conference workshop on "Technology Integration: Planning and Managing Large Scale Digital Displays" at the Academic Impressions Academic Library Planning and Revitalization Institute held on March 8 in Denver, Colorado. Mary Somerville, University Librarian, presented "Campus visioning and participatory design" at the Academic Impressions Academic Library Planning and Revitalization Institute, held on March 8 in Denver, Colorado.